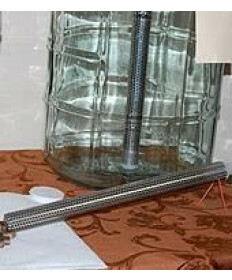 Oak infusion tubes are used to help the winemaker infuse the wine with oak cubes or chips and allow for easy removal of the oak after the oak infusion process is finished. The infusion tubes are available in various sizes to accommodate small carboys, demijons and regular size carboys. They can also be used in various sized neutral barrels. Oak has the ability to impart oak 'flavor' to wine which can be described as leather, vanilla, clove, spice, leather, toast, licorice and smoke. This gives the wine more complexity and aging potential. The best tasting red wines in the world are usually have some oak contact. 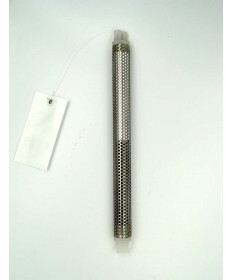 Stainless steel helps to ensure sanitation and long life of the tube. Contact Us if you have questions about any of our Infusion tubes.